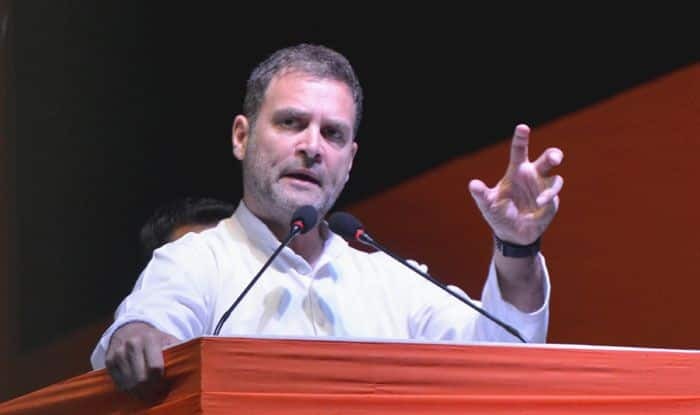 Congress president Rahul Gandhi's latest attack against PM Narendra Modi came at a Lok Sabha Elections 2019 rally in Karnataka. “I have a question. Why all the thieves have Modi in their names whether be it Nirav Modi, Lalit Modi and Narendra Modi? We don’t know how many more such Modis will come out,” Gandhi said while addressing a Lok Sabha Elections 2019 rally in Kolar district of Karnataka. “You stole Rs 30,000 crore and gifted to your thief friend. You 100 per cent steal money. ‘Chowkidar’ is a thief. Nirav Modi, Mehul Choksi, Lalit Modi, Vijay Mallya, Anil Ambani and Narendra Modi – There is a group, a team of thieves,” Gandhi said as he attacked the Prime Minister. The Congress president also promised 33 per cent reservation for women in Parliament and assemblies and also in government jobs, if voted to power. Hitting back at Congress chief Rahul Gandhi, for repeatedly using the ‘chowkidar chor hai’ jibe to attack the Prime Minister, Home Minister Rajnath Singh had said that the PM is “pure” and not “chor” (thief). Terming PM Modi as ‘cure’ for problems faced by the country, he expressed confidence that he will be voted back to power.